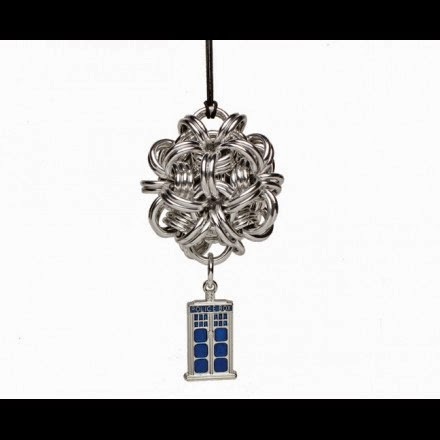 TARDIS Holiday Ornaments from Do Bats Eat Cats? Because the holidays will be here before you know it, why not get a head start for you gift-giving or geek-tree-decorating needs and order a TARDIS Holiday ornament from my girlfriend's online shop? You can get a small star, large star or a dodecahedron* made of silver chain handwoven one ring at at time by Darlene. This is already becoming a fast seller, so get your order in time for the holidays and while supplies last. *and yes, I told Darlene about the dodecahedron that appears on "Meglos". … in which people die aboard a train, monsters hide along the (two dimensional) plane, the Doctor dances in his box, and Queen is covered by a Fox(es). Also, Clara lies. Our fearless podcaster reviews "Mummy on the Orient Express" and "Flatline".